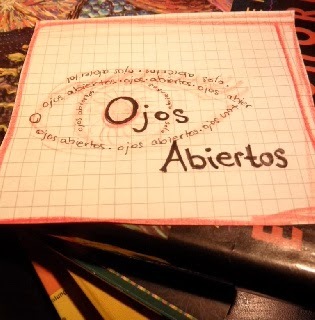 Ojos Abiertos: "We're not supernumeraries - we are the main characters!" "We're not supernumeraries - we are the main characters!" Ten years have passed since the explosion of a nail bomb, deposited by the NSU in Cologne-Mülheim, which injured many people. This weekend, tens of thousands gathered for a commemorative festival. It was a normal day in the Keup Street, that June 9th, 2004. The Keup Street is well known in Cologne and the surrounding cities. It is located in Cologne-Mülheim, a disctrict inhabited mostly by Turkish and Kurdish immigrants and their families, who feel at home there since generations. The Keup Street is famous for its tasty food, serving everything from freshly baked böreks over sweet and sticky baklava to spicy kebabs prepared on an open grill. Yes, the Keup Street is considered a model project for integration and a peaceful neighborhood community. But then, that June 9th, everything changed. Ali Demir, a local tax consultant, was sitting over work in his office in the Keup Street, when he suddenly heard a loud explosion. Thinking that one of the gas bottles had exploded, he sought shelter, waiting for further explosions. A few minutes later, Mr. Demir left his office and realized that the barber shop across the street, run by the brothers Yildirim, had been totally destroyed. Debris is scattered over the street, cars are destroyed and 22 people are injured, some of them severely. Everybody is in a state of shock. And then, the local police officers made everything even worse: They mentioned “internal” conflicts in the Turkish community, drugs, the “mafia” – and they told locals to hush, as these mentioned xenophobia as a possible motif. These past ten years have been arduous for everybody living on the Keup Street. Undercover investigators created mistrust between formerly peaceful neighbors, the victims were left alone and a constant fear of future attacks made every day painful. Mehmet Demircan created the initiative “Kein zehntes Opfer!” (No tenth victim! ), seeing a clear xenophobic link between the murders across Germany. Approximately 4000 demonstrators joined this silent protest march. But they were seen as conspiracy theorists and even the usually so critical German leftist movement didn’t join the demonstration. Since the NSU has exposed itself end of 2011, things have changed. 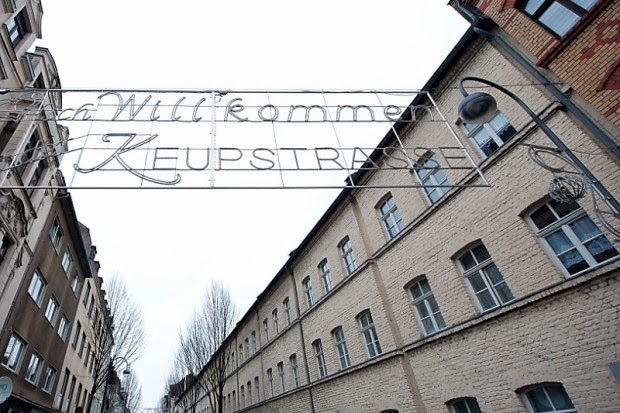 The “Initiative Keupstraße ist überall” (Keup Street is everywhere), founded by locals, tries to give victims the possibility to regain and reclaim their voice, which has not been heard for so many years. When the bomb on Keup Street will be treated in court in Munich this September 2014, the “Initiative Keupstraße ist überall” will be there with the affected people, supported by families, friends and neighbors. It is important to be present and give a clear statement against racism, as they write on their website. This past weekend, all the restaurants, cafes and shops on Keup Street opened, welcoming tens of thousands of people from Cologne and the rest of Germany to take part in a commemorative festival, titled “Birlikte” (Stand together). Three days were packed with a broad range of activities: concerts by famous and not so famous local bands, a theatre play produced by the Schauspiel Köln, a talk held by president Gauck, reports from court explained by the attorneys, panel discussions etc… Most important of all: the affected people spoke for themselves. And they will continue to do so. A collection of interviews has been published recently in a bilingual (Turkish-German) booklet titled Von Mauerfall bis Nagelbombe – Der NSU-Anschlag auf der Kölner Keupstraße im Kontext der Pogrome und Anschläge der neunziger Jahre. The money, long hours of voluntary work and reliving of a painful past involved in the creation of this booklet make it readable and once again, I realize – they are not supernumeraries, they are the main characters. And we should start listening.